Sometimes I think the best part of writing a blog is coming up with the titles. 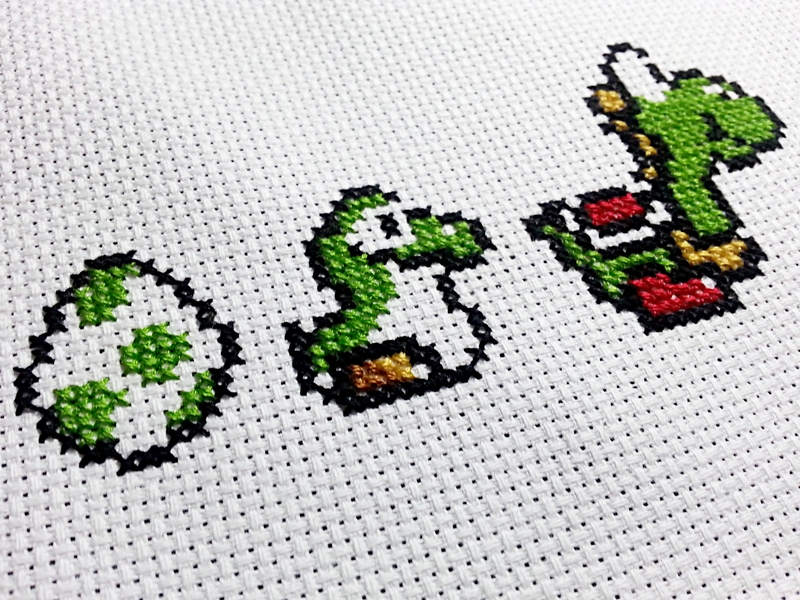 So, this week’s chart is the progression of our favorite little green dinosaur, Yoshi. I actually had a request to post the chart I used in the water soluble canvas vid a couple (few?) 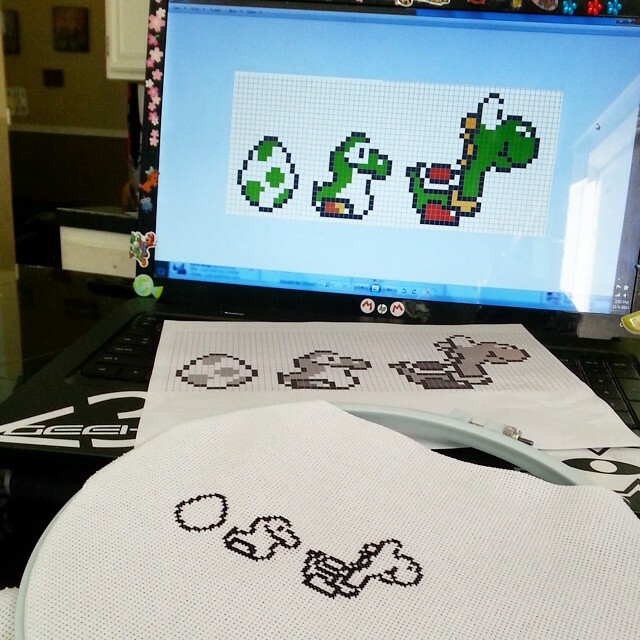 weeks ago, but I wanted to make a chart all three stages of Yoshi in it. Again, this chart is pretty straight forward. I was able to crank it out in 4-6 hours so it makes for a quick weekend project. Previous PostA Smashing New Cross-StitchNext PostHello. I am Jess, your personal crafting companion. Totally love it! Thanks for posting it. I also love the title. Very clever. So clever! Love the design! Oh wow, this is adorable!